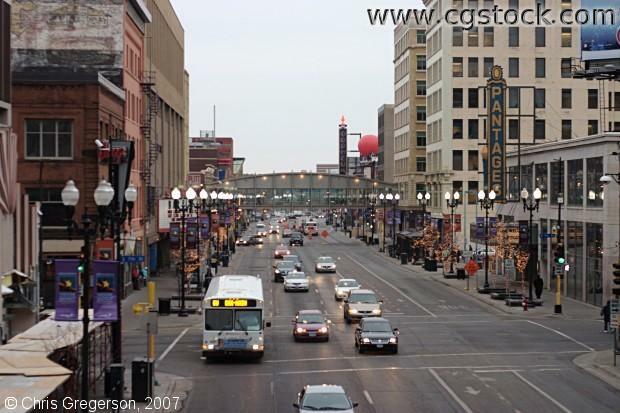 Hennepin Avenue is a major street in Minneapolis, Minnesota, United States. It serves as a dividing line between "North" and "South" street addresses. The Hennepin Theater District, which is in this shot, includes the Pantages, State Theater, and Orpheum Theater.